It took me three months to finish this book, and not because it was particularly dense or long. Imagine a somewhat tame erotica novel, and then add pages and pages of ranting about Bolshevism, industrialism, and classism. That is Lady Chatterley’s Lover. After reading an essay about the book and having it contextualized in the time in which D.H. Lawrence wrote the book, it makes sense why this may have an important stepping stone for modern romance novels. Despite any importance in the literary canon, however, this book is terrible. The characters are shells of characters, the plot meanders and jumps ahead in the future without warning, and there is too much unrelated ranting. There is a somewhat interesting story buried in between all the rest, but it really needed to be massaged out of it. 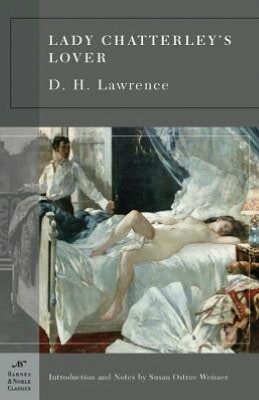 The book is very nearly autobiographical, as it takes many elements – including its setting – from Lawrence’s own life. Lawrence’s father was a collier, and the book is based adjacent to a mining town. The adultery in the book is also mined from his life, as his wife was married when they became entangled. The gamekeeper is supposed to be the author’s mouthpiece in the book, and most of his opinions are those of Lawrence’s. I thought the book could have been better if it had included more exploration of the relationship between Connie and her husband, Clifford. Why did she decide to marry him at all? What drew her to him? Was their relationship lukewarm before his paralysis, or did that ruin it? There is a sense of the pompous, self-righteous attitude that Clifford has and that worsens as he feels more powerless and impotent, which is very interesting, but instead we get pages about how he feels about spirituality or transcendence. And Connie, for that matter, doesn’t seem to feel much of anything until she just decides that she is going to ditch Clifford for Oliver Mellors, the gamekeeper. This book does not age well. I’m sure it was scandalous for the time as it has some fairly graphic depictions of the relationship between Connie and Oliver, but between the rantings and outdated references, it is pretty vanilla and boring. This book fulfills the classic romance and the banned book requirements for the challenge.